The exhibit, conceived especially for Fotografia Europea, offers an overview of Peter Bialobrzeski’s work on the birth and evolution of the metropolis, where global architecture replaces and revolutionizes local and traditional forms of construction. An idea that is at the heart of his new book The Raw and the Cooked*. The work of Bialobrzeski, who has been systematically documenting and interpreting the transformation of the urban landscape for over 20 years, constitutes a very important critical archive of the present time from the architectural as well as sociological and artistic point of view. His science-fiction-like cities are the new embellishments of the way of living of our times. His way of photographing them, often uninhabited, enhances their dimensions and features, emphasizes their apparent banalities and contradictions and creates a universe of awesome beauty. But the fascination with modernity and the boldness of an architecture that seems unaware of the limits of physical laws does not do away with the problem of living in cities that seem to reflect visionary rationales rather than meet everyday needs. Everywhere, the rare presence of human beings, reduced to the size of Lilliputian creatures, seems to illustrate the scant attention given to man in the social transformation process associated with urbanization. The exhibit mainly brings together a selection of three recent works: ‘Nail Houses’, on houses due for demolition to make room for new housing solutions, ‘Lost in Transition’, on the transformation of the urban landscape in fourteen countries and twenty-eight cities, and ‘Neon Tigers’ in which Bialobrzeski recreates a «virtual megatropolis» combining the seven Asian cities of Bangkok, Kuala Lumpur, Hong Kong, Shanghai, Jakarta, Singapore and Shenzhen. A «megatropolis» that seems like the product of some futuristic dream, made up entirely of skyscrapers, mirrors and steel, it dazzles and enchants the viewer with thousands of lights, like a huge Luna Park. Born in Wolfsburg, Germany, in 1961, he first studied Political Science in Germany. On completing his studies he spent some time travelling in Asia and then went on to graduate in photography at the University of Essen and the London College of Printing. Since 2002 he has been teaching photography at the University of the Arts in Bremen and runs various workshops around the world. He currently lives and works in Hamburg. Peter Bialobrzeski’s career as a photographer started in his native city of Wolfsburg, where he began taking photos for a local newspapers at a very young age. Upon receiving his first degree he spent 15 years travelling around the world as a reporter, mainly for Laif Agency in Cologne, which he has been working with since 1994. He subsequently decided to devote himself exclusively to his “obsessions”, namely globalization, illustrated in ‘Lost in Transition’, pollution, described in ‘Paradise Now’ and his bond with his native land, portrayed in Heimat. He has also written as a critic for Photo News and Freelens Magazine. From 2001 to 2002 he was a member of the selection panel of the Fuji European Press Awards. 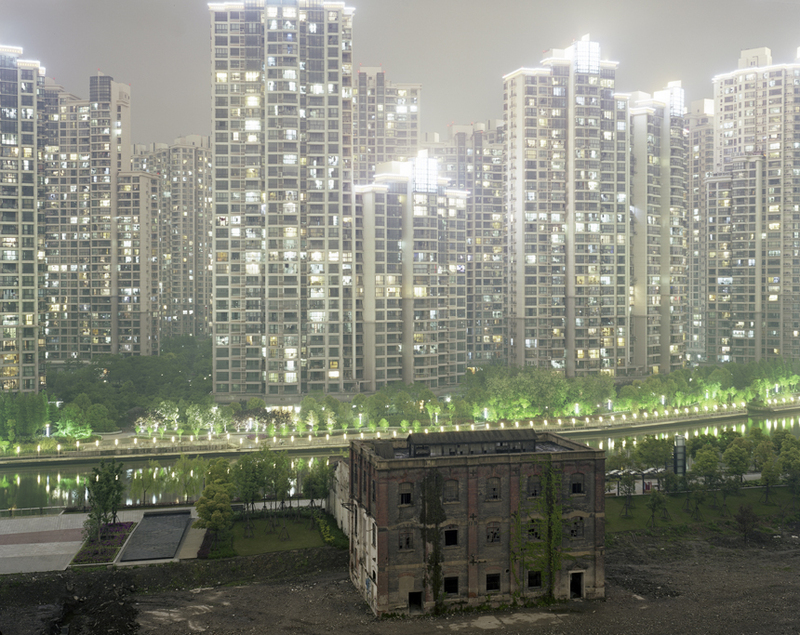 In 2003 he was winner of the World Press Photo Award for his work on Asian Megacities. His works have been exhibited in Europe, the USA, Africa, Asia, Australia and New Zealand and are currently on show at the Morat Gallery in Hamburg. In New York his works are held by the Laurence Miller Gallery and in Germany (Frankfurt) by the LA Gallery.